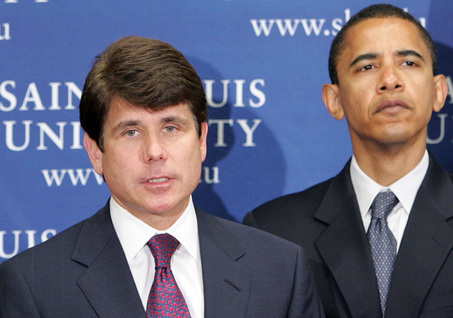 I grew up in Chicago, with its legendary history of colorful corruption that continues to this day, Rod Blagojevich’s hair having recently been acquired by the museum that holds the mummified remains of Capone, Ness, Daley I, and too many congress- and aldermen to count. I reported for a long time in Houston, which has had its own cast of larger-than-life sleazebags down through time, crossbred, of course, with the Texas Legislature, whose absurd venalities made Molly Ivins famous. I suppose Chinatown should’ve tipped me off, but I really wasn’t ready for the scale of the take-anything-not-nailed-down culture when I came to California. More than a decade in the Bay Area and the Southland, however, have made me an avid watcher of the can-you-top-this performances of the actors involved in California’s greed and corruption industry. By now, you’ve no doubt heard of the city of Bell, where city officials paid themselves so much that they won the L.A. Times a Pulitzer Prize. But the corruption hits just kept coming this week, with the former administrator of the city of Vernon, who in his last year made $911,000 in salary, pleading guilty to misuse of city funds. Prosecutors had accused Bruce Malkenhorst of “illegally reimbursing himself for expenses such as golf outings, massages and meals — including paying off his personal Visa credit card — and getting the city to pay for his political donations.” With the guilty plea, he got two years’ probation and had to pay $95,000 in fines and restitution — but he gets to keep his $500,000 annual retirement package. This, as the current Vernon government twists and turns, trying to keep the state from disincorporating the town of less than 100 citizens, almost all of whom live in city-owned housing. Half a mil that can’t be touched, every year — Bruce Malkenhorst, take a bow! In its report to the state, Blue Shield said that its 10 highest-paid executives earned more than $14 million total last year. The insurer identified the executives only by number, saying each earned $749,643 to $4,601,226. The top earner was listed as “chief executive officer,” Bodaken’s title. The Times story gradually descends into wonderful deadpan comedy as Blue Shield officials try this, that and the other line to defend Bodaken’s salary, which has turned Malkenhorst into a footnote and sparked a private convocation of Chicago aldermen who have developed a sudden interest in the health care industry. If you consider public greed and corruption to be the most engaging spectator sports in America — and I certainly do — you should read this piece right to the bitterly funny end.